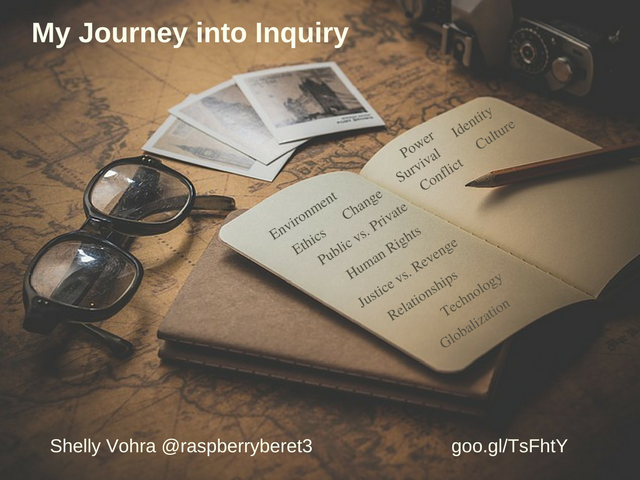 Episode #3: My Journey into Inquiry by Shelly Vohra, Ph.D.
Shelly Vohra, Ph.D. @raspberryberet3 shares with Barbara why inquiry connects learners to the real world. 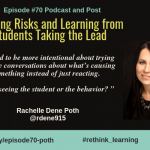 She shares how she helps teachers bring voice and choice into the classroom. Shelly shares her story and ideas in the post below. My main goal was for my students to recognize that the subjects were connected. For example, how are science, geography, language, math, connected to each other? These are not isolated subjects nor are they an island on their own. There are many opportunities for cross-curricular integration, and I had designed and delivered many lessons where students were learning in this manner. However, I felt there was a more effective method in which students could explore issues, topics, and concepts in an integrated fashion, where there were more choices and voice for students. Additionally, as someone who values social justice and equity issues, I wanted to find a way to ensure that social justice was integrated into the teaching and learning. I never thought the journey that I started that summer would end up being one of the best learning experiences of my life! I remember sitting at my parent’s kitchen table (I was still living at home at this time) with all the curriculum documents spread out in front of me and doing a scavenger hunt of sorts. I was searching for ways in which the expectations in one subject area overlapped with expectations from other subject areas. I was not only looking at the expectations per se, but I was also examining the skills/verbs that were common amongst the different subjects. For example, how many times did the verbs “analyze, judge, evaluate, and justify” appear in the various curricular areas? I started with the science and social studies curricula since they would be the best ones in which the “big ideas” would come to light. My next step was to generate a list of these “life big ideas” (as I like to call them) and related questions (which we now know as “essential questions” or “driving questions”). Since I was teaching grade 6 the following year, my first big idea was “Development” and my related essential question was, “Should Canada continue to invest in space exploration?” I spent the next few weeks planning this unit; designing lessons, looking up resources, mapping out assessment strategies, and drafting a newsletter to parents about the unit. There are different levels of questions and this is another thing I have learned as my learning progressed. For example, the question above is a yes/no question and might be considered a lower level type of inquiry question. 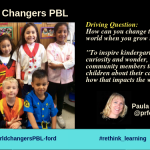 It is important, however, that these questions become even more open-ended as students become accustomed to learning through the inquiry process. 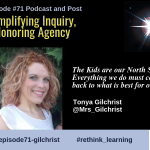 This type of approach to teaching and learning allows students to use the inquiry method. They are introduced to the big idea and essential question and some initial discussions occur in our “community circle”. Students then engage in their learning by accessing the necessary resources (books, newspaper articles, websites, magazine articles, etc) to answer the question. This is not to say that there is no explicit teaching happening during the unit; of course, there is! These explicit lessons just need to be planned carefully in terms of what information is being disseminated to students and when it is being disseminated in the learning cycle. I found that my students were engaged because their learning was self-directed; instead of giving them the answers, they had to find them on their own. In other words, they were constructing their own knowledge and forming their own opinions and views based on their research and their experiences. I wanted my students to realize that there is no one right answer to these types of questions. One student could argue that we should continue to invest in space exploration while another student would argue that we shouldn’t invest in space exploration but as long as they each have valid and reliable arguments, they are both correct. Furthermore, this type of learning allows students to really listen to each other. We had weekly class meetings where we discussed the question and students shared how they felt. If students disagreed with each other, they did so respectfully and challenged each other by asking good questions (this in itself takes time to build in a classroom!). I also provided choice: my students could choose how to present the answer to the essential question. For example, if one student’s strength was writing, he/she could write a persuasive essay; if another student wanted to deliver a speech, he/she delivered it in front of the class, and if another student loved technology, he/she shared their website with the class (my assessment procedures have evolved since then, which I will share in subsequent podcasts and posts). In the end, my students told me they really enjoyed the unit because they were allowed to express their thoughts and views, collaborate with their classmates, and didn’t have to complete a bunch of worksheets. 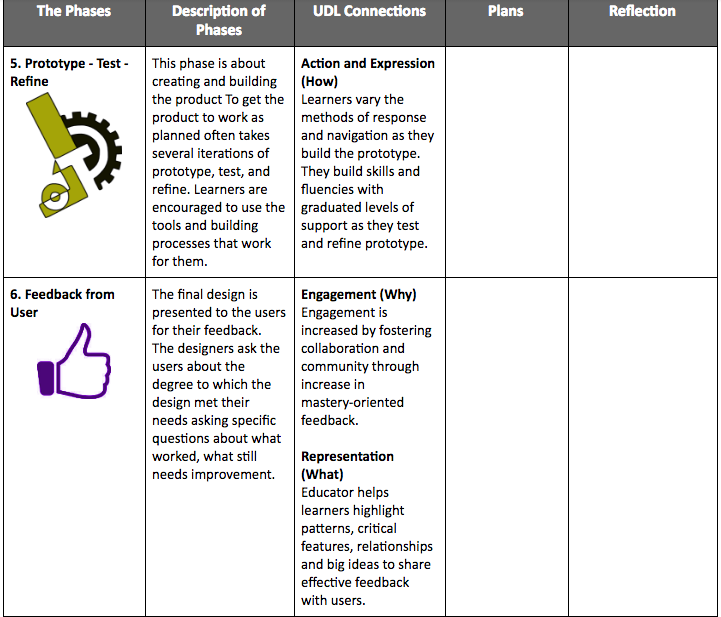 Based on their feedback, I was determined to ensure that all my units were based around a big idea and essential question. Essential questions have no one right answer, therefore they are open-ended. Essential questions depend on the knowledge, prior experience, and questions that students bring to the table. Essential questions promote critical thinking, reasoning, collaboration, communication, etc. Essential questions are related to the curriculum. What prior knowledge do students need to know? What do students need to know in order to answer the question? What resources can/will they use/access to find the information? 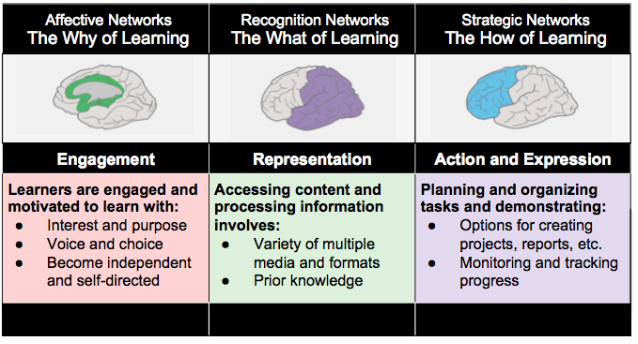 What instructional strategies best suit this type of learning? What types of formative assessments will you have in place to ensure they are learning what they are supposed to be learning? How will you accommodate for students who are on an IEP or who are ELLs? How will you support struggling students? In what possible ways can students demonstrate their understanding in terms of answering the essential question? Change (all grade levels) Is conflict necessary for change? Survival (Grade 7) Does earth have a greater impact on us or do we have a greater impact on the earth? Power (Grade 8) Is water a right or a privilege? I hope this post inspires you and leads to further questions. I’d be happy to engage in further discussions about inquiry, social justice, and inquiry. Please also visit my blog (link below) to read more about inquiry! 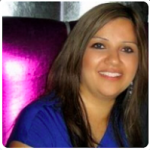 Shelly Vohra @raspberryberet3, is an Instructional Coach with the Peel District School Board in Ontario, Canada, with a Ph.D. in Educational Technology. 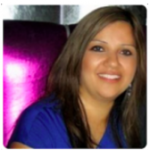 She has been an AQ Instructor for the Elementary Teachers’ Federation of Ontario (ETFO) which includes Math, Reading, ESL, Special Education, Media and presently instructing Math Part Two. Her responsibility as an Instructional Coach is to work collaboratively with classroom teachers by focusing on individual and group professional development that will enhance and refine the understanding of research-based practices and instruction. 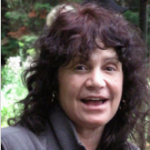 Shelly is also an instructor at Brock University teaching mathematics to Year 2 teacher candidates and has delivered numerous workshops on technology, mathematics, science, social justice, and inquiry. Universal Design for Learning (UDL) developed by David Rose and Ann Meyers of the Center for Assistive Special Technology (CAST) was designed to reduce the barriers to the curriculum and maximize learning. 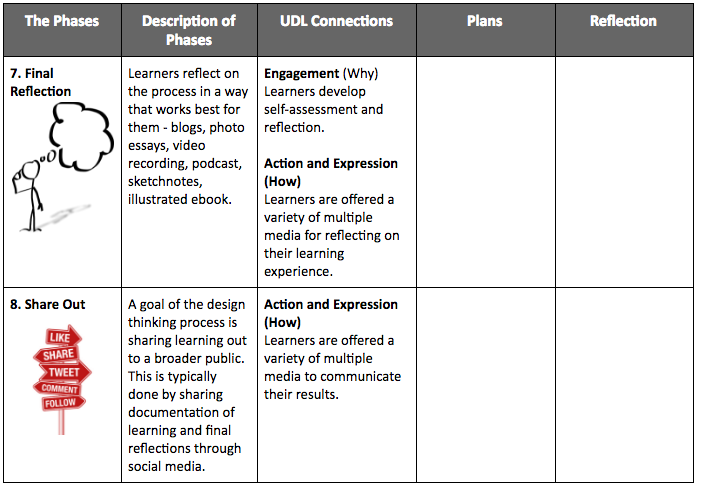 UDL provides a framework for all learners to help them become self-directed and independent expert learners. 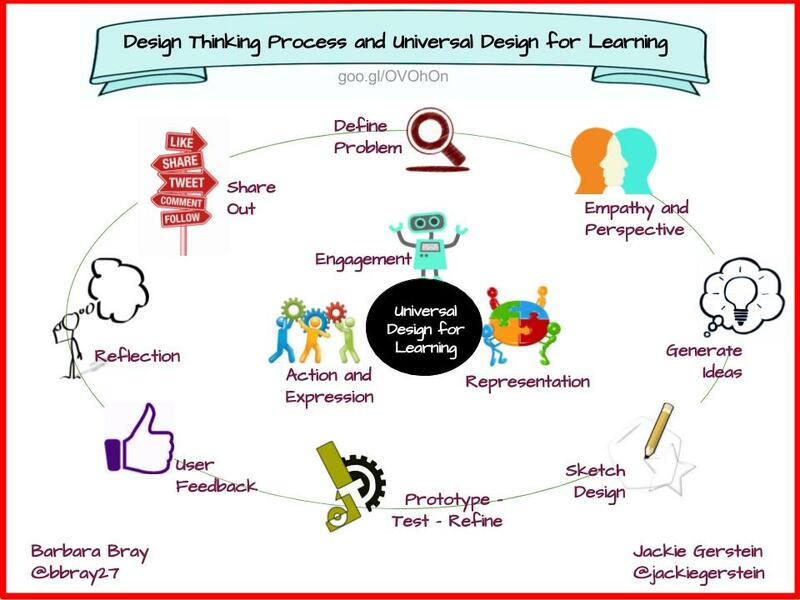 UDL has reordered the principles and guidelines, to begin with, Multiple Means of Engagement, the Why of Learning that compliments how the Design Thinking Process involves learners in identifying an authentic problem or challenge. The National Center on Universal Design for Learning goes deeper referring to the alternate version of the UDL Guidelines found in the book UDL Theory and Practice by David Rose and Ann Meyers where the order of the principles and the guidelines have changed to start with the WHY. 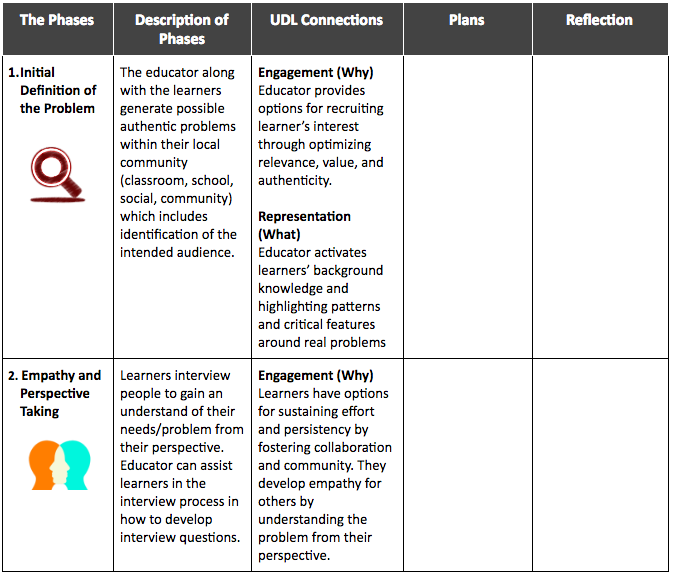 The UDL Guidelines provide a deep dive into each of the principles to checkpoints that provide resources, examples, and research. 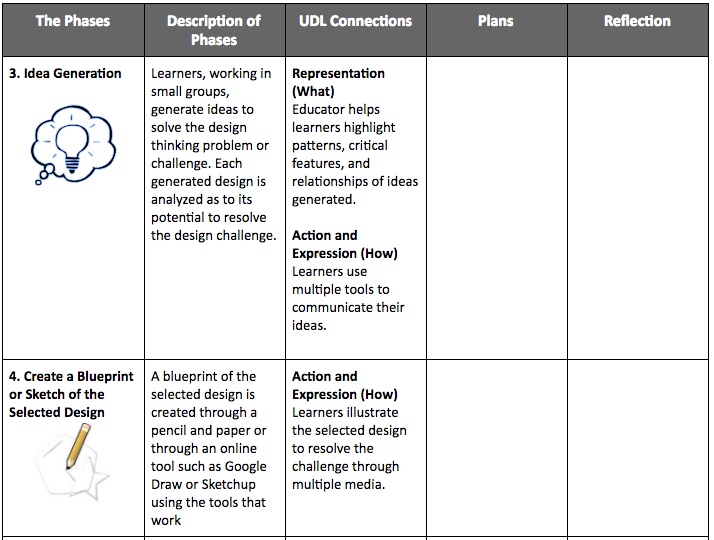 We pulled together the phases of the Design Thinking Process and identified specific options under each principle to create a Design Thinking Process and UDL Planning Tool for teachers. 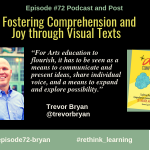 She believes that one of the roles and responsibilities of the 21st-century educator is to share resources, ideas, and instructional strategies with other educators. This post is also cross-posted on Jackie’s website at https://goo.gl/bnu1NB. 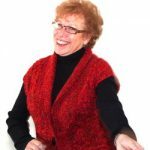 This is Barbara Bray sharing Episode #2 of the Rethinking Learning podcast with Tamara Letter about finding kindness through Passion Projects. Tamara added a post below the podcast expanding on what we talked about and included links and a few pictures. Please take a moment, listen and read more about Tamara’s journey to bring passion to learning through kindness. Enjoy! 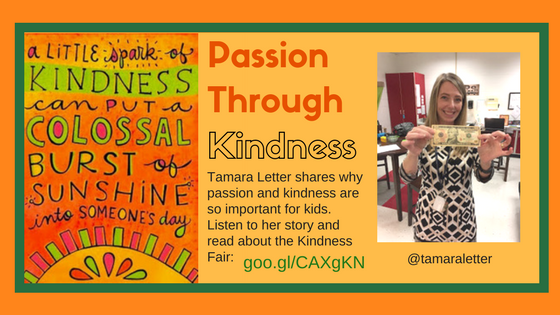 Tamara Letter, Technology Integrator at Mechanicsville Elementary, Hanover County Public Schools, VA, shares why encouraging kids to find their passion through kindness matters. Five years ago, I was searching for a fun way to celebrate my 40th birthday. I decided to do 40 random acts of kindness and share the stories behind each act I completed. As a mom of three and an educator for twenty years, I know the impact positive actions can have on others. My goal was to sprinkle a little kindness into the world around me for each year I’ve been alive. 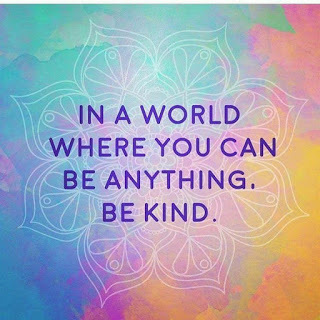 I created my first blog, http://celebratekindness.wordpress.com, and started sharing my posts on Facebook and Twitter. What I didn’t realize at the time was this birthday celebration was actually a deeper passion of mine to make the world a better place. As an instructional technology resource teacher, my purpose is to empower teachers to integrate technology into their daily instruction. I work in collaborative partnerships with teachers and administrators to find the best ways to engage students while teaching an age-appropriate curriculum. Working so closely with teachers and their students helps me to strengthen relationships and, in turn, support their individual learning needs as we learn and grow together. The role of an educator has changed drastically since I entered the profession in 1997. Teachers are asked to wear a multitude of hats each day as they care for their students’ academic, physical, social, and emotional needs. They are shaping the hearts and minds of our community with each child that enters their classroom; we need to value our teachers with respect and showcase the greatness they do every day! This year I worked in a collaborative partnership with Mrs. Cross, a fourth-grade teacher at Mechanicsville Elementary School. 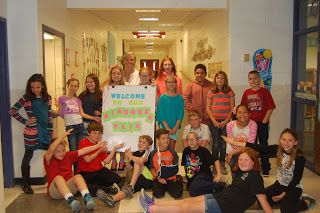 We wrote a grant called “A Passion for Kindness” and were awarded funds from the Hanover Education Foundation to implement a year-long kindness initiative with her students. Each week we would meet to learn more about kindness: reading books, engaging in collaborative activities, and reflecting on the kindness we saw or experienced in our lives. Students used their Kindness Journals to document their stories to #CelebrateMonday or #FlyHighFri and I would share stories with them that were posted on Twitter or other kindness platforms like The Random Acts of Kindness Foundation or the Facebook group Reward for Kindness . 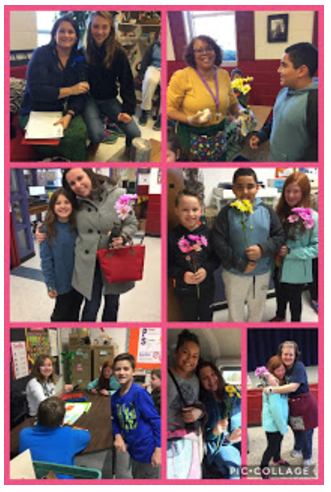 Students continued showing kindness to others with activities like creating inspirational posters to display around our school and sharing flowers with school staff. As the year progressed, we surprised our students with a ten dollar bill, allowing them to create a random act of kindness project to benefit someone other than themselves. Students brainstormed in collaborative groups, sharing their project ideas on Google Classroom, then researched the costs of items to stay within their ten dollar budget. Students then planned out their projects making detailed notes in their Kindness Journals as the excitement grew for final implementation. 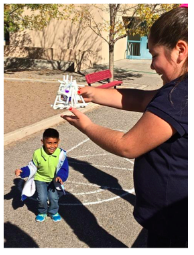 With help from parents and select teachers, students completed their act of kindness, documenting the event with photographs and reflections typed in Google Docs. Kindness, often thought of as a “soft skill”, is actually a thread of humanity that is woven in all we do. Character traits such as compassion and empathy naturally occur in students when they seek kindness in the world around them. 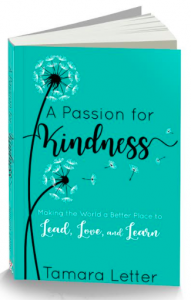 By creating “A Passion for Kindness” in your classroom, students can strengthen these skills while also integrating academic skills such as digital writing, critical thinking, collaboration, and communication. Each one of us has a passion for something in our lives. Maybe it’s a favorite hobby or sport; perhaps it’s supporting a favorite charity, traveling the world, or raising children. 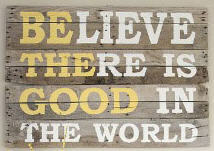 I am passionate about altruism and find great joy in showing kindness to others. Each act of kindness I perform, whether opening the door for a stranger or greater acts of generosity like buying a stranger’s meal, remind me of the power shown in human connection. We have the ability to change the world through our interactions with one another! Even if those changes are merely seeds planted to bloom at another time, one act of kindness has the potential to spark another act of kindness which in turn places a bit more positivity in our daily life. 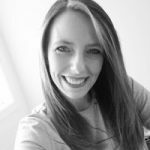 Tamara Letter is a passionate technology integrator with 20 years’ experience in education, specializing in differentiation, creativity, and innovation through personalized professional development. As an Instructional Technology Resource Teacher (ITRT) with Hanover County Public Schools, she has presented numerous sessions at local, state, and international conferences. 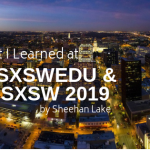 She presented at the International Society for Technology in Education (ISTE) conference in 2014 inspiring others in an Ignite session with her passions for blogging and performing random acts of kindness. At ISTE 2016, she shared her experiences with Passion Projects through poster sessions, webinars, and various digital and printed publications. Tamara also serves as Social Media Chair for the Virginia Society for Technology in Education (VSTE) Conference.